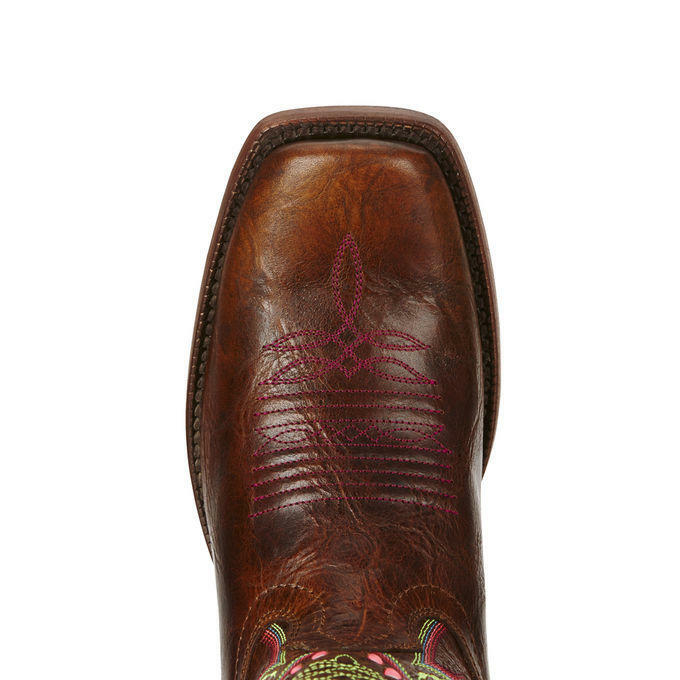 Combining advanced technology, premium leathers and thoughtful design and construction, the Derby is the perfect performance boot. 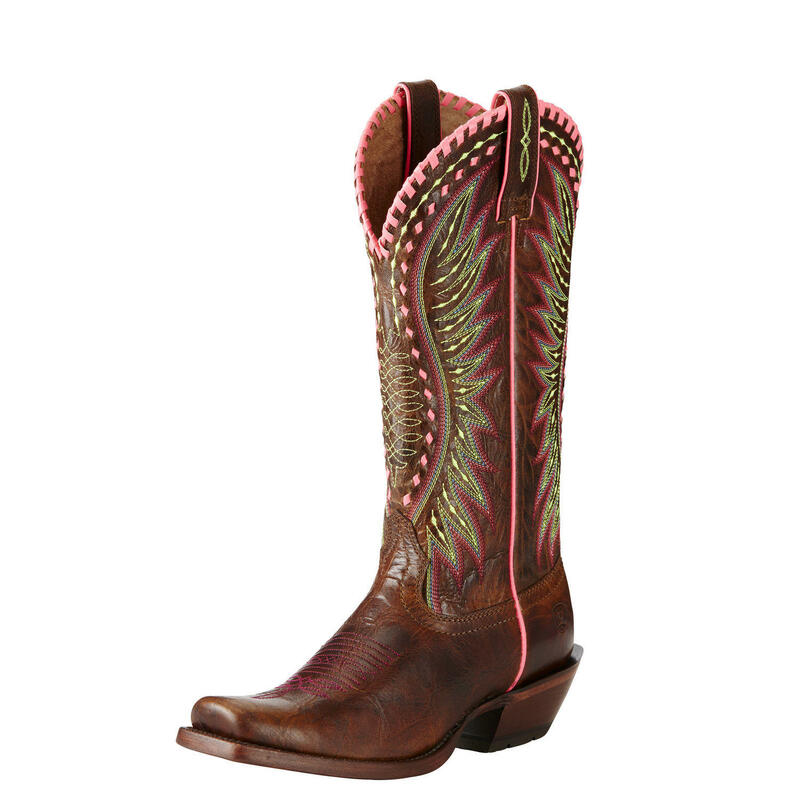 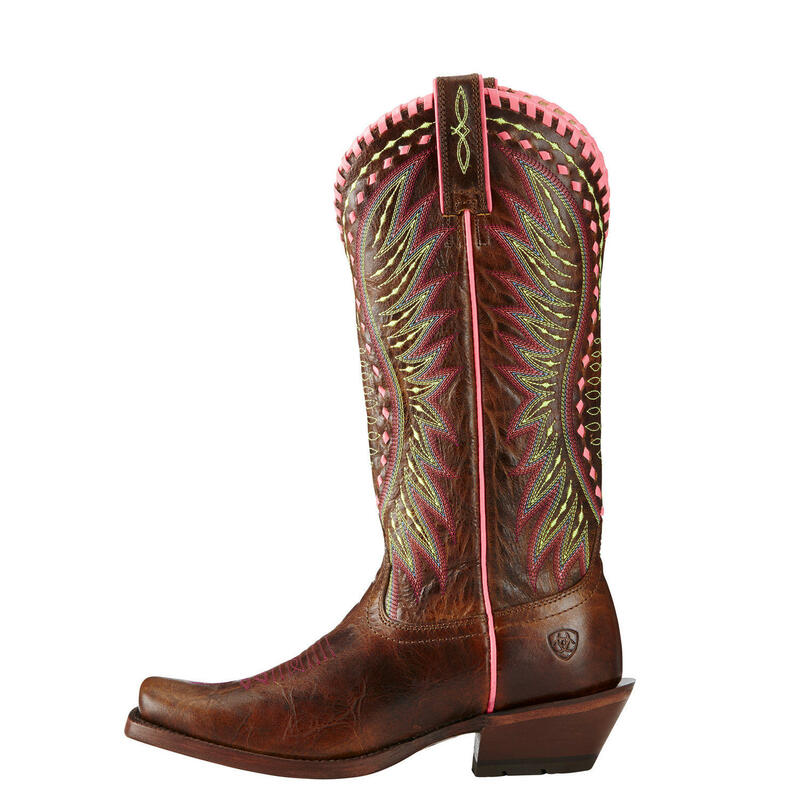 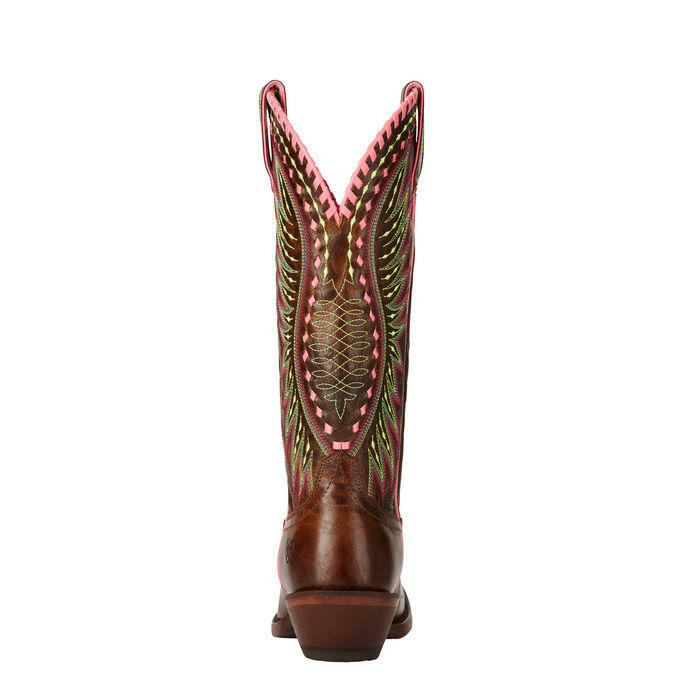 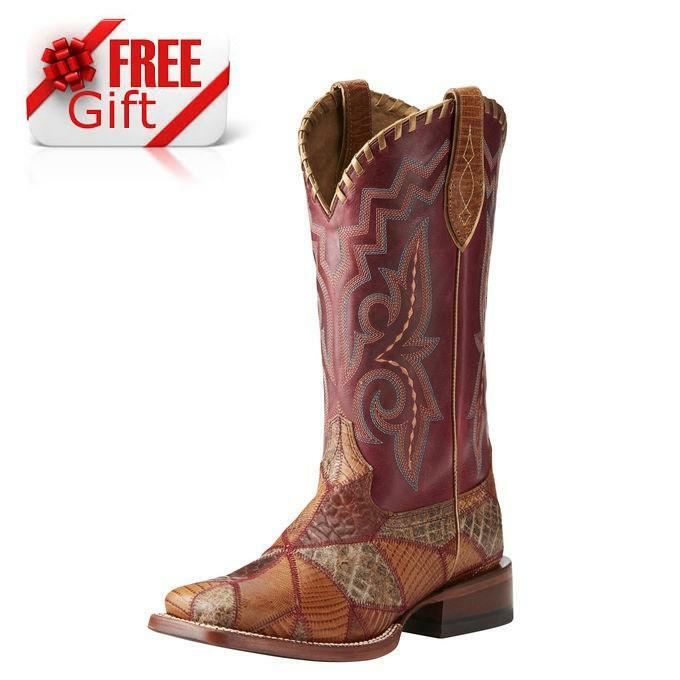 Made from a premium full-grain leather foot and upper, it features a unique bright shaft stitch pattern with pretty pink buck lace detailing. 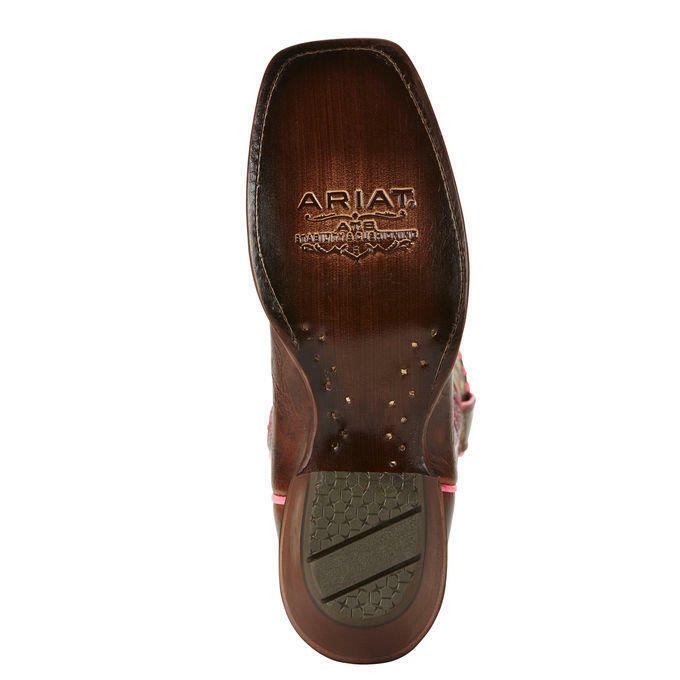 Ariat’s ATS® Pro technology guarantees long-lasting support and comfort, while a Goodyear leather welt, hand-nailed veg-tan leather outsole and whipstitch detailing along the topline complete the look.